The RedFlagDeals thread that's been tracking the EB Games July door crashers has once again been updated. The deal for today is F.E.A.R. 2: Project Origin (Xbox 360, PS3) on sale for $19.89. Our own Clinton Ma reviewed the game back in February, saying the game is an "outstanding first-person shooter that should not be overlooked on the Xbox 360 or the PS3"; however, he continues by saying it's "too easy for experienced players" and has an "unrefined and shallow multiplayer." To check out his full review, click here. 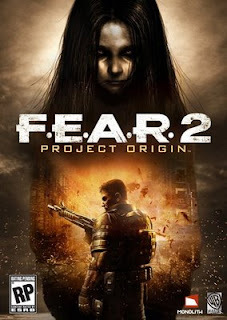 $19.89 for F.E.A.R. 2 is a steal. This should persuade any fence sitter to try out this great shooter.